Passionate in the Finger Lakes: "Lavender Blue, Dilly Dilly...Lavender Green, You will be King, Dilly Dilly, I will be Queen"
"Lavender Blue, Dilly Dilly...Lavender Green, You will be King, Dilly Dilly, I will be Queen"
After writing my last post about the gardens and gazebo at 1922 Starkey House Bed & Breakfast I realized that I love a lot of different kinds of flowers. Lavender is one of them. 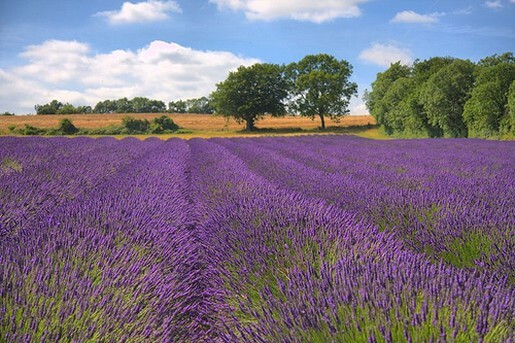 I have always wanted to grow Lavender but you need to buy slightly mature plants in order to have them bloom sooner. Some plants can be costly so I waited for the right time to start. Have you ever had the chance to walk through a Lavender garden in full bloom? It is unforgettable! Lavender is a fragrant flower that can be used dried for potpourris and the oil essences are used in soaps, shampoos, and massage oils. I came across Lockwood Farm, located in Skaneateles, here in the Finger Lakes Region of upstate New York. Lockwood grows Lavender and also raises sheep for natural fibers. Not only that, but they are beekeepers and produce Lavender honey from their bees! My kind of place! Their site is full of beautiful pictures and a step by step preview about the steps to taking care of bees and honey production. I have never seen as much great information in one place. I will most likely recommend a trip to Lockwood Farm to my guests. Take notice that the Finger Lakes Lavender Festival will take place this July at their location. Check it out and be sure to look us up at 1922 Starkey House Bed & Breakfast to reserve a place to stay on your way there! Thank you so much for mentioning our farm as an agri-tourism stop in the Finger Lakes region. We take pride in offering an experience for all the senses. We think your visitors will enjoy our 120 acre flower and fiber farm overlooking Skaneateles Lake. 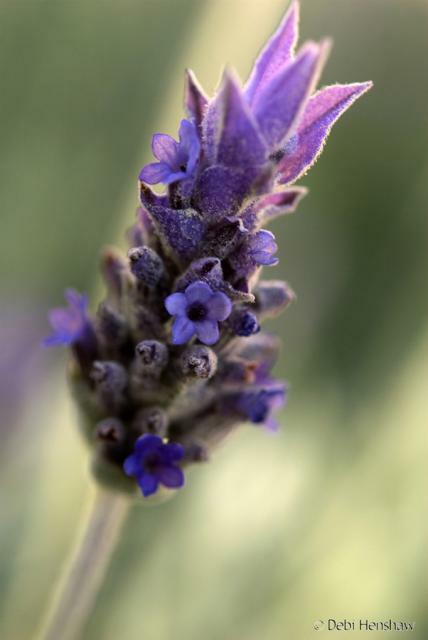 Don't forget lavender has anti-inflammatory, antiseptic, and soothing properties. It can be used topically to heal minor skin irritations and wounds, and is widely used in skin care products for these properties, plus of course for its fragrance. I am happy to receive your quick response. I would love to tour your farm at some point in the near future. Perhaps you can give me a few tips on getting started with my Lavender garden! I have tasted and used many different kinds of honey but have never tasted Lavender honey. So, I can see why raw honey and Lavender together could be a great combination for dry, irritated skin. Thanks for your response Holistically Haute!